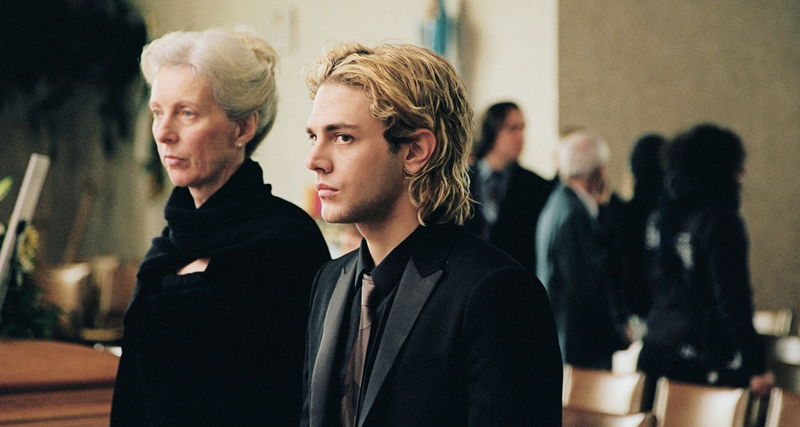 There was one name that my twitter feed lit up with throughout both the Sydney and Melbourne international film festivals earlier this year – Xavier Dolan. 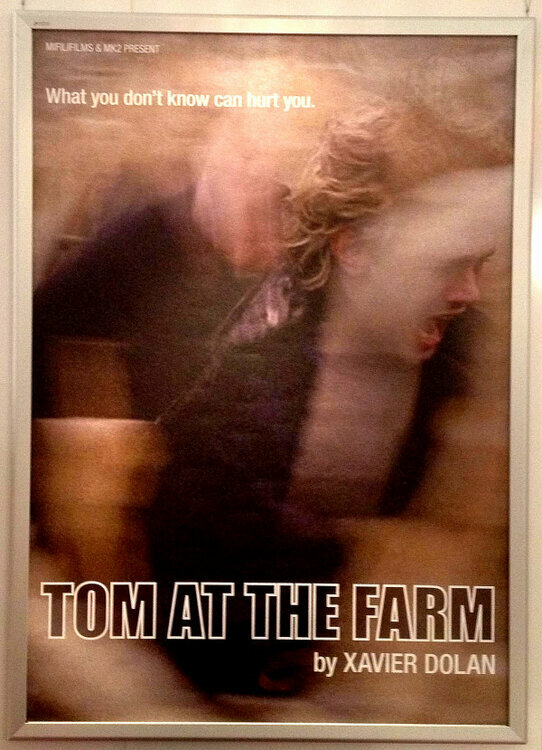 Five films into his career and the young writer/director/actor seems to have people abuzz, and in this case the film they are talking about is Tom at the Farm (2013). The film sees the titular Tom returning to his deceased boyfriend’s home farm for his funeral. His boyfriend’s family, for the most part, do not know that he was homosexual and believe that Tom was a work colleague. Tom battles against this and even more so against the menacing Francis, the brother of his lover. There is a lot of atmosphere in the film and it shifts as Dolan wishes it too. For probably the first act or so, there is a pall of grief that hangs over the film. You are not crushed under the weight of it, the film is not actively setting out to make you miserable and remind you of the horror of death. But it is there, and you know it is driving every event and choice that is made by one of the characters in the film. Later, there is a pervading sense of menace, as the relationship between Tom and Francis shifts a number of times. The true nature of Francis is further revealed whilst also being further clouded and changed. This latter shift in character does at first jar, not quite feeling authentic or real to the world of the film. But a combination of quality scriptwriting and performance will make you believe in the end. Similarly the motivations of Tom at times feel totally out of whack. But the strangeness eventually all makes a level of sense and in part you just need to sit and go on the ride that Dolan is taking you. The plot gets there in the end and so do you as a viewer. Writing about the use of music in film has never been my strength. Someone needs to (if it hasn’t already been done) really break down the way music is used in Tom at the Farm. It is plain that Dolan places a lot of emphasis on the interrelationship between the images on the screen and the music accompanying it. At times the music is bombastic and seemingly ill-fitting with what is onscreen. But it imbues it with so much feeling and atmosphere. The contrasts are also often stark, forcing the viewer to acknowledge and consider the choice that has been made. As a director, this is just one way in which Dolan puts his auteur stamp on the film. I would love to see him make a straight up horror film. The mastery of atmosphere and music chops are certainly there to make a very effective one. On the writing front, Dolan has the gift of creating complex characters out of what at first feel like they could be ciphers – the mourning boyfriend and menacing homophobe of a brother definitely do not stay that way throughout the film. Their construction is effortless though, Dolan never seeming to be straining for quirk or nuance in the characters, they just gradually evolve into those more complex things. It is fair enough to be dubious of directors who star in their own films, but as an onscreen performer, Dolan is more than capable. His is a passive presence onscreen in this film, but his performance guides that passivity between and into engagement with other characters. As Francis, the menacing brother, Pierre-Yves Cardinal is certainly not a passive character in any way. He may not quite have the acting chops of Dolan but it is still an excellent performance. Cardinal has such a physical presence and has you feeling as if he will be lurking just around every single corner. Related beermovie.net articles for you to check out: CIFF 2014: The Dead Lands and CIFF 2014: The Disappearance of Eleanor Rigby:Her. Thanks Michele. Well worth your time. Dolan is an interesting filmmaker. Haha, yeah I know it is pretty wild aye. And Orson Welles was 24 or so when he made Citizen Kane. I often used to think about that.